Full of character and craic, the ‘Rebel City’ has many pubs to explore, from small heritage pubs to new age bars, serving a mixture of local brews and national favourites. 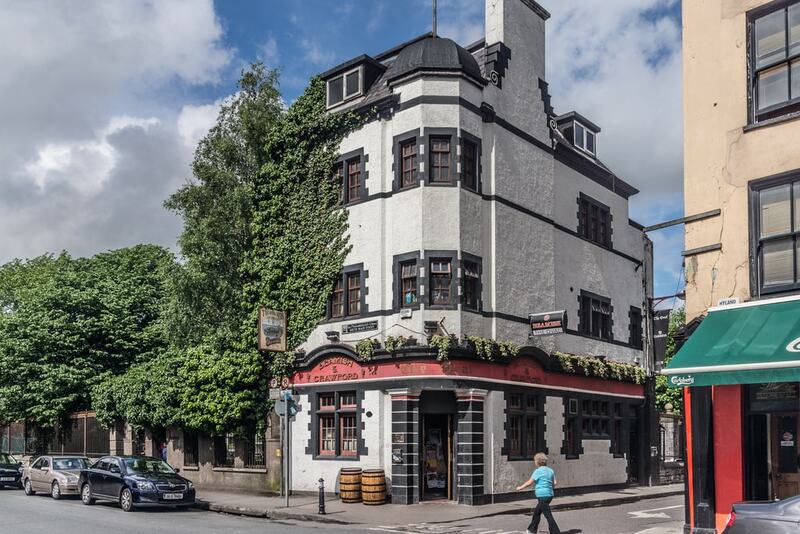 Whether you’re a visitor or a local, here is our list of the top 10 local pubs in Cork. Situated on Popes Quay, near Shandon Street and the Shandon Bells, is The Bierhaus. This place has one of the best selections of beers in the county of Munster, with over 220 beers available. There is always something new on draught or by bottle and the Bierhaus has six rotating guest-draught taps and a cask. Its popularity has resulted in the Bierhaus being the recipient of a number of awards including ‘Best in Ireland’ in the McKenna’s Guides. There are regular events at here from pub quizzes to poker to beer tasting and they also serve great tasting food. On the corner of South Main Street and Tuckey Street is The Oval bar. Named after its intriguing oval-shaped ceiling, The Oval is a charming and quaint venue. Designed by a Scottish architecture firm for the Beamish and Crawford Brewery, the bar has a unique appearance and style. Due to its Sino-Celtic design, it features on a list of important 20th-century buildings in the city. Their hot cider or port is the perfect cure for a cold winter day, and it can be enjoyed while sitting next to their open fireplace. The hearty smells of peat and relaxing hum of chatter among pub-goers make The Oval a memorable experience. 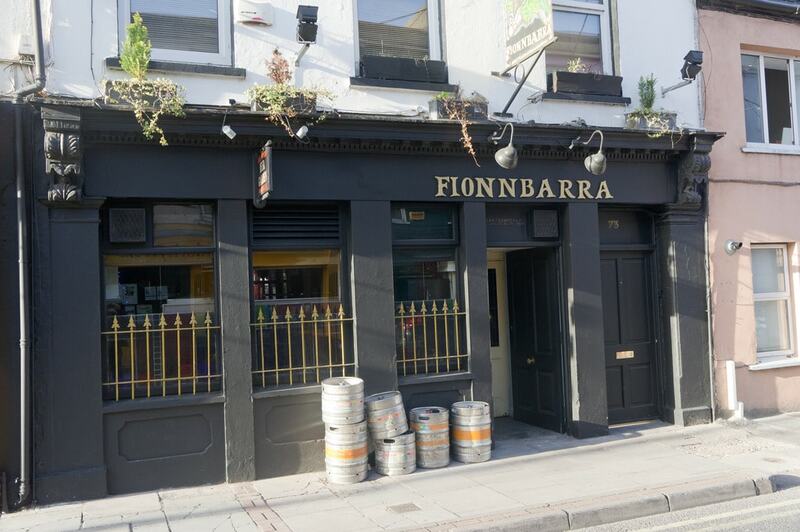 Located on Douglas Street on the south side of the city, Fionnbarra’s bar and beer garden is the place to go for a chilled, laid-back pub experience. Serving a good variety of local and international beers, Fionnbarra’s top feature is its beer garden, which is packed on a summer’s evening. It is heated in the winter, where pub-goers can chat over a steaming glass of hot whiskey. Benches, sofas and sculptures are dotted around the space, providing a calming oasis away from the busy streets of Cork. The atmosphere is always relaxed, warm and welcoming, with the nooks and snugs inside the bar lit by candles, adding to the ambience. Although small in size, the Abbot Ale House compensates with their big selection of beers, whether it’s on tap or by the bottle. They also have a small but refined selection of whiskeys and other beverages. These can be enjoyed in the bar upstairs on the first floor or bought downstairs in their off license. While the Abbot Ale House doesn’t specialise in live music (it would be difficult to fit a band into the space), they do offer other forms of entertainment, such as a book exchange. 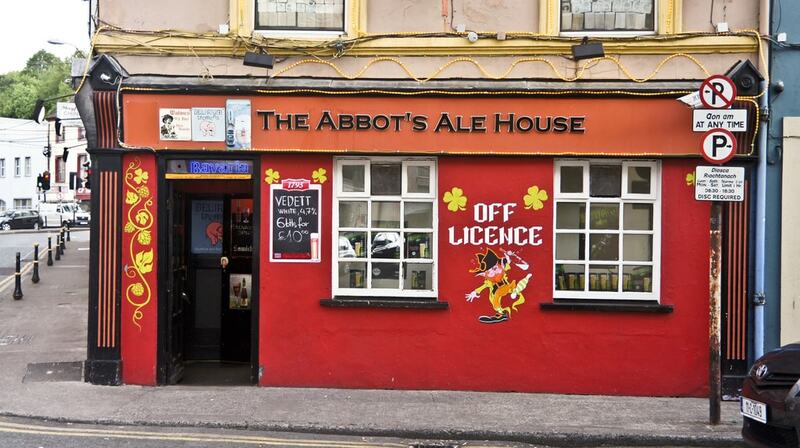 The Abbot Ale House is a must-visit for a true Cork experience. One of the best venues for live music and a lively night out, the Crane Lane Theatre is a popular institution in Cork city. Located down a laneway between the South Mall and Oliver Plunkett Street, just around the corner from the General Post Office, the Crane Lane was once a gentleman’s club during the 1920s. It was popular then, and it maintains that reputation to this day. The venue’s decor reflects its history, with a vintage vibe flowing through the bar and outdoor area. There are three bars inside, and the venue is one of the latest to stay open in Cork. Pop next door to its sister pub Arthur Maynes Pharmacy for a smooth glass of wine and an electric atmosphere. Serving craft beers as well as old favourites, the Crane Lane will not disappoint. 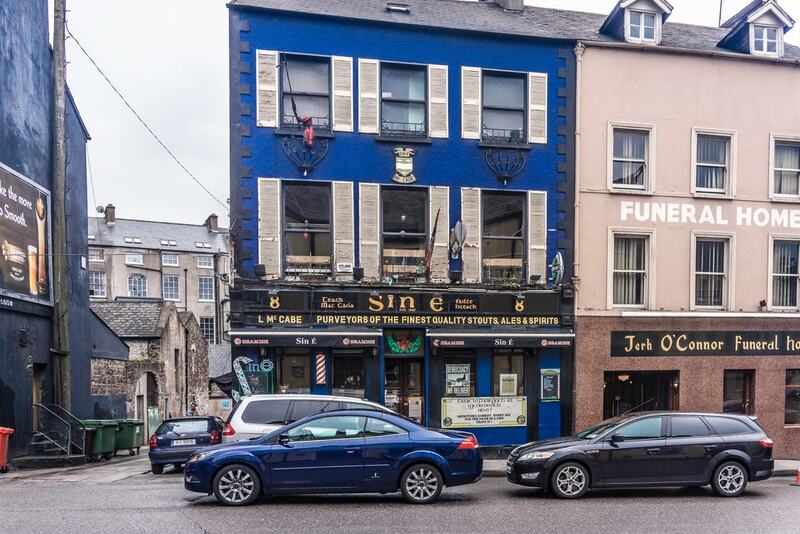 Perhaps the home of traditional Irish music in Cork, the Sin É is a must-visit. The name of the pub is Irish for ‘that’s it’ and refers to the funeral home that neighbours the venue. While this may be a sombre thought, the Sin É is one of the liveliest pubs in the city. It first opened its doors in 1889, and it has seen generations of Corkonians and newcomers through its door over the years. The Sin É is a traditional pub in all senses; the music, the atmosphere and the beers (particularly stout). Due to its location, the pub is also fond of everything equine, as Coburg Street was once an overnight holding pen for horses that were being exported to England. The ground floor of the pub was once a wheelwright premises, and upstairs was a saddle maker. There is also a decorative carving on the gable end of the building, which is inspired by Austin Clarke’s poem ‘The Planters Daughter’. Situated on Oliver Plunkett Street and up a flight of stairs is the renowned and sometimes notorious Hi-B. Its full name is the Hibernian Bar, but it is known far and wide by its shortened name. The bar is housed in what was once the Hibernian Hotel, and it is perhaps one of the most intimate and eccentric places to have a pint in Cork. What’s more, mobile phones are forbidden, meaning there is always a din of real conversation and laughter. This is enforced by the owner Brian O’Donnell, who is a Cork institution in himself. Fancy frills and sleek decor are left outside the door of this traditional pub. A step back in time, there is always a blazing fire, a cold pint of stout and story to be heard at the Hi-B. Cork is renowned for its craft beers, with the Franciscan Well Brewery and Brewpub and many others high on many pub-lovers lists. Fast establishing itself as a favourite in Cork, is the Rising Sons Brewery. Serving their own brews, which are chemical and additive-free, they are made with locally source ingredients to the highest standards. What makes a pint at Rising Sons Brewery extra special is that they only produce their beers in small batches, with only fifty kegs brewed a week. Their most popular brew is Mi Daza, which has been available in many other pubs around Cork but now has its own home. The brewery also creates pilsners, ales and other beers that are crisp in flavour and charming in character. Located on the historic Cornmarket Street, Rising Sons Brewery is housed in the old premises of Guy and Co. printers, who printed all the cheques in the country. Old meets new at the Rising Sons Brewery. The Poor Relation Grocery and Pub is housed in the old premises of The Parnell and is quickly becoming one of Cork’s hot spots for beer lovers and night owls. The renovated pub still retains its former traditional charm, with visitors able to drink a pint, buy some groceries, pick up a ukulele or browse a book under one roof. There is also food served, with a barbecue on Fridays. The Poor Relation is conveniently located next to the bus station and not too far away from Kent train station. With a great selection of craft beers and a buzzing atmosphere, the Poor Relation is one to watch. A much admired establishment in Cork is the Mutton Lane Inn. Situated just off Patrick Street and at an opening to the famous English Market, Mutton Lane Inn is one of the oldest pubs in the city. The pub is named after the laneway Mutton Lane, where sheep were brought into the market many years ago. Venturing inside the door, Mutton Lane Inn is dark but atmospheric, with a lot of wooden features highlighted by flickering candlelight. There is often music at the inn, and what’s more, there’s no television. Conversation and camaraderie are key aspects of the Mutton Lane Inn. It’s always busy, but if you’re lucky enough to get a seat, you may not want to leave.